Climate change, also called global warming, refers to the rise in average surface temperatures on Earth. According to Takepart.com, overwhelming scientific consensus maintains that climate change is due primarily to the human use of fossil fuels, which releases carbon dioxide and other greenhouse gases into the air. 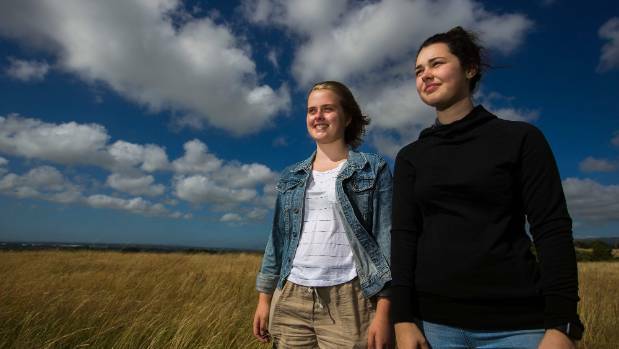 Tackling climate change is a daunting challenge but two young Manawatu teenagers believe there are meaningful steps within reach. Year 13 pupils Tessa Hiscox, from Freyberg High School, and Stephanie Kelly, from Palmerston North Girls’ High, were among 40 students from throughout the country who took part in the Royal Society Powering Potentials conference during the school holidays. The four day conference, held in Wellington in December, was designed to start young people on a confident path to thinking through real world problems, and finding scientific and technological answers. Sky high environmental thinkers, left, Tessa Hiscox, right Stephanie Kelly, both year 13. During the event, the teens heard from scientists from Zealandia, GNS Science and BusinessNZ. Groups then formed to take on assignments, which involved brainstorming solutions for different issues that will pose a problem for New Zealand because of climate change. The solutions included issues in agriculture, biodiversity and aviation. “It was good for networking, making something useful in a short period of time and working with people from a lot of different backgrounds in different parts of the country,” Tessa said. Her group talked about flooding issues for the Wellington region, and discussed a project where houses were built on stilts in Northland. “We came up with short term infrastructure solutions, then long term changes. We became aware there were a lot of bad planning decisions made when Wellington was starting, and that we need to make smarter solutions in the future about growth,” she said. Stephanie’s group worked on how industry can be proactive to combat climate change. The group decided New Zealand firms should invest in biofuel. “The technology was not difficult to produce it, you make structures to grow the algae in, and you make an oil out of them,” Stephanie said. Both girls hope to become engineers, and believe there are many realistic steps available in New Zealand to combat climate change. “It’s really important, we’re a little island nation, and we have so many neighbours that are going to be badly affected, and our economy relies so much on what the environment gives back to us,” Tessa said.